Lenovo announced the latest generation of its “Tiny” ThinkCentre desktop PC – the ThinkCentre M93p, which packs powerful performance into an impressively small form factor measuring just the width of a golf ball (34.5 mm). Lenovo also introduced the latest generation all-in-one (AIO), the ThinkCentre M93z AIO and the ThinkCentre M83 and E93 desktops. “While the world believed that desktop PCs would become extinct, Lenovo believed in the desktop’s evolution. This is how the original Tiny came into being,” said Victor Rios, vice president and general manager of Think desktop, workstation, visuals. With up to the latest 4th generation Intel Core i7 processors with Intel® vPro™, the ThinkCentre M93p packs huge performance into a tiny form factor, accommodating even the smallest of workspaces without sacrificing power. The compact M93p also offers and an optional Solid State Hybrid Drive (SSHD) to boost system performance and can be conveniently mounted to the wall to save additional space with a VESA mount. Lenovo’s unique patented “Smart Power On” feature allows the user to power up the desktop directly from a wired or wireless keyboard and an Always On USB port with RapidCharge technology allows fast charging of connected devices, even when in sleep mode. 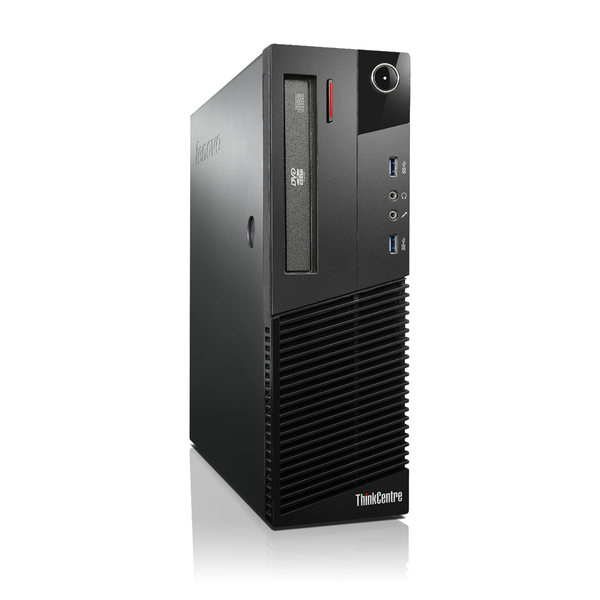 The Citrix Ready ThinkCentre M93p Tiny is the most energy efficient ThinkCentre desktop ever. 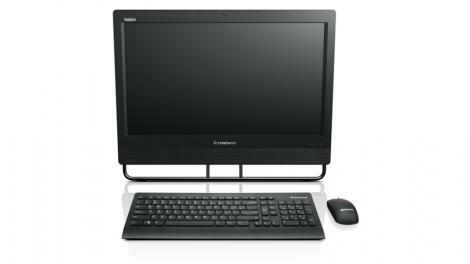 The ThinkCentre M93z is built for business collaboration with its full HD 23-inch LED display. With a wide viewing angle, anti-glare and optional 10-point multi-touch screen, the Windows 8 certified M93z offers uncompromised desktop performance in a sleek all-in-one package. Equipped with up to 4th Generation Intel Core i7 processors and SSHD2, the ThinkCentre M93z packs fast, powerful performance into a compact, space-saving design. Intel® vPro™ Technology enables increased manageability and security with speedy data encryption and decryption, protection from unauthorized access and remote management. The detachable, tool-less chassis design allows for easy access and simple setup of stands. Combined with Lenovo’s tried and tested Trusted Platform Module security chip, support for the latest software security and robust physical chassis protection, the ThinkCentre M93z is a true professional business tool. The ThinkCentre M83 is built for enhanced business productivity with up to 4th generation Intel Core processors and optional SSHD for improved performance. Available in the small form factor pro model, the M83 provides tower expansion ability. The latest ThinkCentre desktops highlight Lenovo’s commitment to environmental energy efficiency with ENERGY STAR®5.2 compliance and EPEAT® Gold ratings. The M93p, M93z and M83were also awarded UL Environment Gold ratings, and are Cisco EnergyWise compatible and offer 92 percent energy efficient use3. Additionally, the M93z is TUV Green Mark Certified, TCO Certified Edge Qualified and EuP 2013 certified. Added green features on the M93z include 65 percent post-consumer components and an optional auto brightness control for increased energy efficiency and reduced costs.